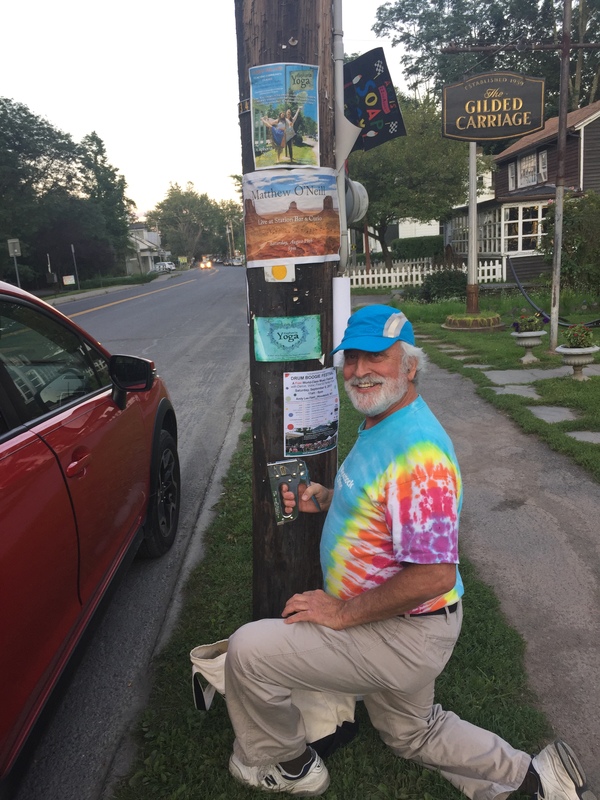 Diane and I were putting up posters in Woodstock last night for the 2017 Drum Boogie Festival and ran into Juma Sultan on the street. Juma played conga drums with Jimi Hendrix at the famous ’69 Woodstock festival and has lived in the area since 1968. 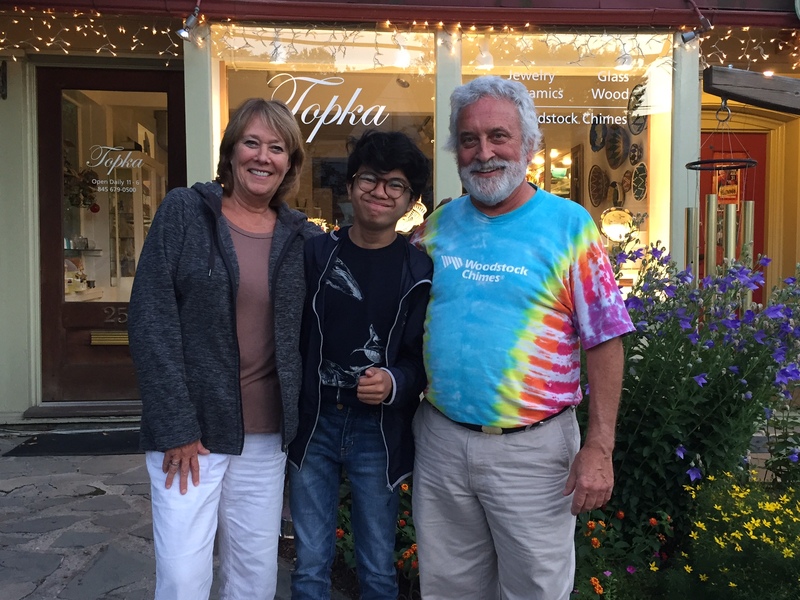 A little while later we ran into Joey Alexander, the GRAMMY(R)-nominated teenage piano genius from Bali, walking down the street with his parents. Joey has amazing talent and was in town to record a new album. We stopped by the farmer’s market for the wonderful pizzas from Bread Alone and the great falafels from Aba’s, and there we ran into more famous people, including the artist Mary Frank, the singer / songwriter Tim Moore, the music critic Leslie Gerber, and the author Martha Frankel. The Drum Boogie Festival is a free daylong music event that I’ve been producing every other year since 2009. 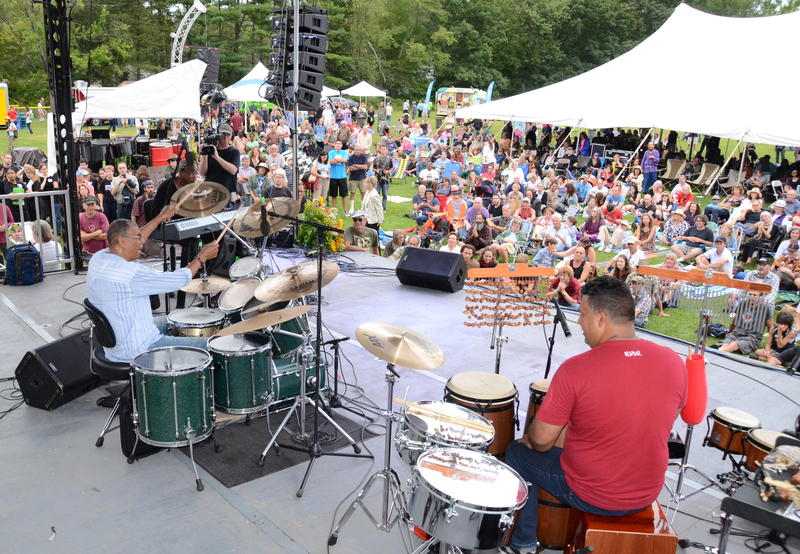 This year’s festival will be held September 9th at Andy Lee Field in Woodstock, NY, from 11 a.m. to 8 p.m. Among the musicians taking the stage that day will be jazz great Jack DeJohnette, Prana with Baird Hersey, and the group I’ll be performing with, NEXUS Percussion, to name just a few. So, come to Woodstock on September 9th. You’ll hear world-class music in a beautiful setting, and you never know who you might run into!